I think most people believe statehood is granted by some divine authoritative body, or perhaps by a pencil-pushing bureaucrat on the third floor of some office building in New York. The question "What makes a country a country?" is a fascinating one with a wide variety of vague and non-specific answers. We toss around terms like international community, sovereignty, constitutive and declarative theories of statehood and recognition to help us define country status, but these terms are vague themselves. Even recognition and inclusion by the UN can't be used as a determining factor for statehood, unless it is being used to validate the actions of it's own members as those who can "grant" that status. The Montevideo Convention put forth basic criteria for country status but many will tell you the Montevideo Convention is virtually useless by itself and promotes absurd claims of statehood. These people subscribe to the more declarative theory, relying on the diplomatic action of the big boys. It's hard to think of promoting independence, sovereignty or statehood as a bad thing. However, the international community seems hesitant to recognize new countries, despite many having met (arguably) all criteria set forth by deterministic conventions (I'm using the other definition of convention here) with the exception of multilateral diplomatic relations. Countries who, to this point have legitimized each other, seem to have a greater desire to keep the group exclusive than to stick to the more common considerations for country status i.e. Matt Rosenburg's list and the Montevideo Convention, external recognition excepted. When you think of it that way, external recognition, in reality, is the only criteria that really matters. I don't like to think that way. Why does the international community stonewall legitimate claims to independence, such as Somaliland, Kosovo and Taiwan? 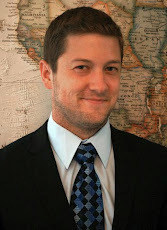 I recently asked about.com's Geography editor, Matt Rosenberg WHY Somaliland and other countries in waiting are having so much difficulty. He is scheduled to have a blog post answering the question later this week. The point is that there is so much gray area for places like, Israel, Palestine, Somaliland, Kosovo, Tibet, Abkhazia, South Ossetia, North Korea, South Korea, etcetera that perhaps there is a need to consider a different source for country status. For most of us the biggest consideration in whether or not a country is a country is if we can find it on a map. As a whole, we don't care about Pakistan's refusal to recognize Armenia; We care if Armenia is on a map. Who better to entrust country status than the a-political map geniuses at the National Geographic Society? Nat Geo takes this issue very seriously, citing several sources in their Maps Policy including "the United Nations, the European Community (apparently Nat Geo needs to UPDATE it's map policy as the EC has been disbanded), as well as the policies of individual governmental entities; the Board on Geographic Names; recognized reference books such as encyclopedias, dictionaries, geographical dictionaries, atlases, independent academic texts and other similar sources". At least their process feels analytical and not quantitative or arbitrary. However, Nat Geo has also shown their ability to quickly adapt (or bend), exemplified by the Map Committee's recent ruling on the Paracell "Don't call me China" Islands, following an online petition signed by more than 10,000. David Miller, a map editor for National Geographic Maps provides a more simplistic explanation: "for independence bids to ultimately succeed, the government must control its territory, have the support of the people, and show stability over a certain period of time." Of course, if we went by THAT definition we wouldn't have many countries to map! Citing the Kosovo example, Mr. Miller goes on to say in the National Geographic News article "We're preparing our digital maps and databases … to start showing [Kosovo] as an independent country..." However, that change has yet to show up on their maps. Interestingly enough, National Geographic seems to be wavering on the Somaliland issue. 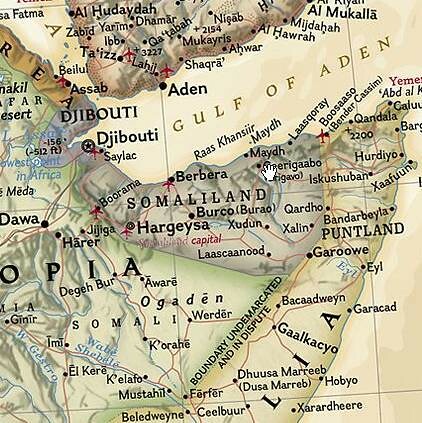 On continent maps Somaliland is delineated but not given a standard color, making clear the distinction that the "world" still sees Somaliland as an autonomous region of Somalia and not an independent country. On world maps, however, Somaliland is not delineated, only displayed similar to other states, such as Fezzan and Cyrenaica in Libya. The discussion of country status is circular AT BEST. Really, when it comes down to it, there is no "official list", only opinions. A state's independence is real to anyone or anything who gives credence to it's existence.